Valentine's Day is just around the corner, have you ever thought of what to give to your loved ones? Well, thankfully, Beyond the Box and Digital Walker, the metro's premium resellers for gadgets and tech accessories, have exciting gizmos and promos to share in this month of L-O-V-E! 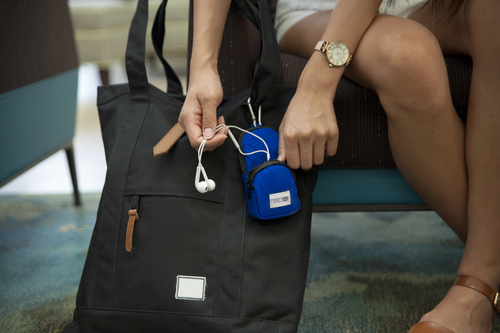 Now, your loved one will never have to rummage through his/her bag for keys, cards, power banks, and headphones again with Function's Batt Pack 101. It is Digital Walker's Gear of the Month. It is made of Ballistic Nylon that's designed to keep all essentials organized and in order. Your loved one will never lose track of his/her tech essentials with this case. It comes with a removable 3000 mAh USB battery and has dedicated pockets for cards, earphones, and phone cables. The pack also comes with a detachable industrial strength carabiner (karabiner) that attaches easily to backpacks, suitcases, and more making sure you keep locked in and connected at all times. Perfect for individuals who are constantly on the move! Fuse Chicken Titan Loop Key Chain Cable, the toughest key chain cable you will ever need, is Beyond the Box's Featured Product of the Month. This MFI-certified Lighning cable uses two layers of flexible high-strength steel to surround the inner cables. It is permanently sealed and held together with a one-piece housing fused over the electronics and metal cabling. It is designed to survive the pressures of everyday use. 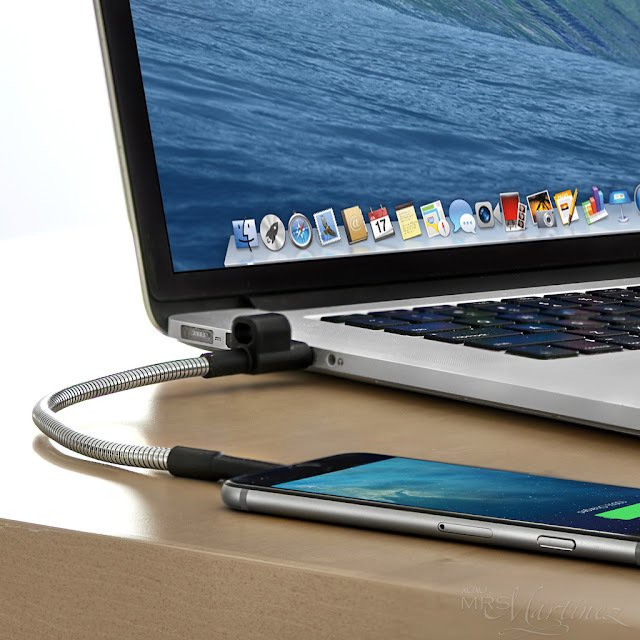 This 25-centimeter cable also functions as a key loop so you can bring it anywhere with you. Simply connect the little adapter at the USB-end to complete the loop. This is the last cable your loved one will ever need. Made for iPhone 5, iPhone 5S, iPhone 5C, iPhone 6, iPhone 6S, iPhone 6 Plus, and iPhone 6S Plus. I saved the best for last! Apple Watch can now be availed at 0% interest for 24-months payment option to all Metrobank, Citibank, Security Bank, PNB, BPI, and East West Bank credit cardholders. 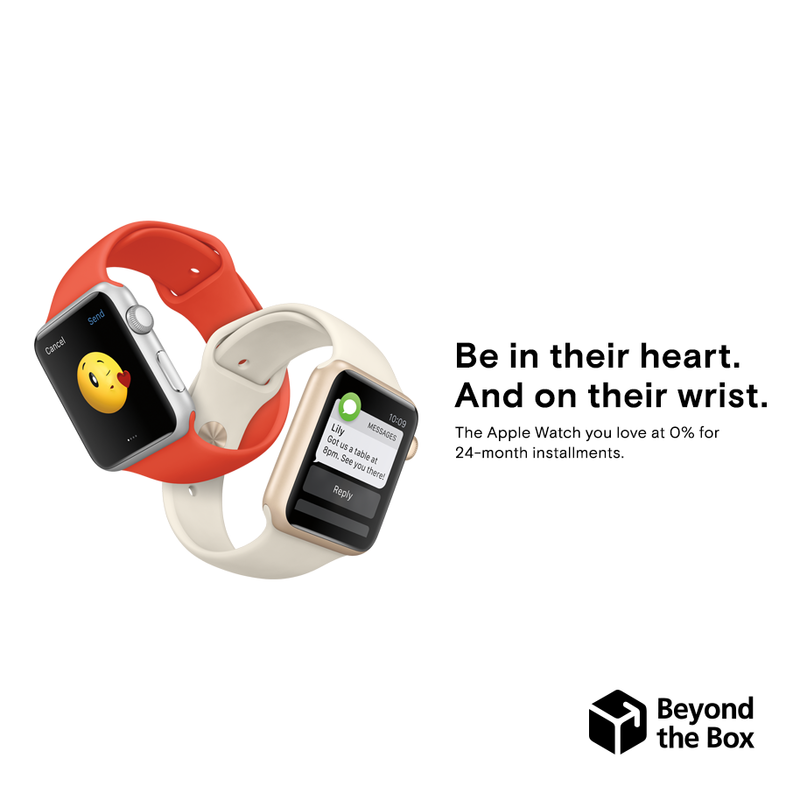 As an added Valentine's treat, Beyond the Box is throwing in a Speck Candyshell Apple Watch Case with every purchase of the Apple Watch. Bundle item is strictly for Apple Watch purchases only. Available for the whole month of February. For more information, visit Beyond the Box PH on Facebook and Follow on Instagram (@BeyondtheBoxPH).